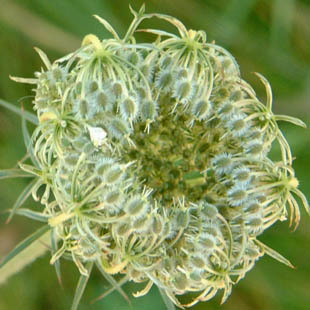 It grows on rough grassland on calcareous soils. 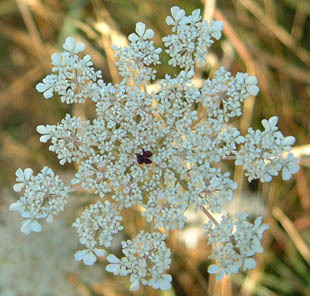 Wild Carrot is a native, biennial herb growing up to 1.5m. It has stiff, hairy stems and forked bracts. 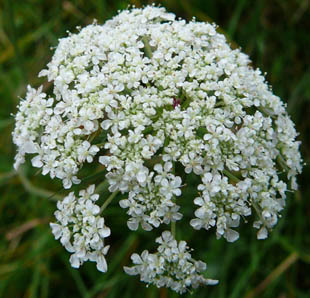 The flowerheads are white and up to 7cm. 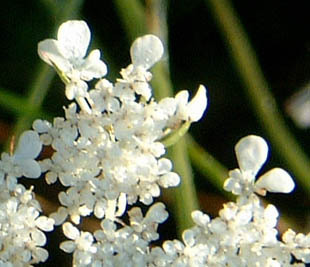 Flowers in the outer umbells have unequal petals. 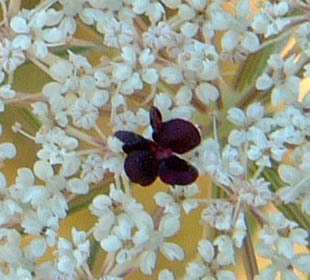 The central umbel has a prominent red flower. 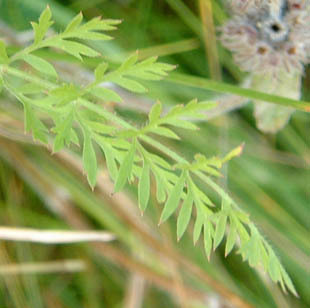 Leaves are pinnate, feathery and often tinged grey. 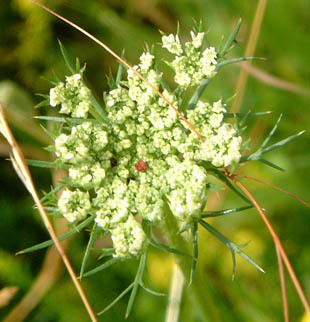 (Daucus carota sub species Gummifer).